By Audrey Golden. Jun 8, 2017. 9:00 AM. As you may know, former President Obama’s announcement of an opening of U.S. relations with Cuba occurred in December 2014. The United States had not had an embassy in the country since 1961, the year of the Bay of Pigs Invasion that occurred two years after the Cuban Revolution through which Fidel Castro came to power in the nation. Until former Secretary of State John Kerry’s visit to the country during the Obama presidency, no U.S. secretary of state had traveled to Cuba for over 50 years. 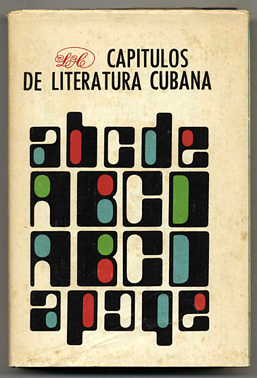 Now that it is more “open,” so to speak, for American visitors, we thought you might be interested in expanding your knowledge of Cuban literature. We have some recommendations for the best books on Cuba. 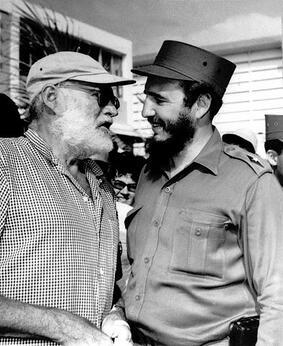 Ernest Hemingway spent a good deal of his life in Cuba, and he even had a house outside of Havana. The Nobel Prize-winner’s novel The Old Man and the Sea drew on Hemingway’s own experiences in the country. The premise of the novel seems relatively simple. Santiago is an old Cuban fisherman who is down on his luck. In the Gulf Stream, after months of being unable to catch a fish, Santiago hooks a giant Marlin. The novel depicts the fisherman’s battle with the giant fish and with the powers of the sea. The Old Man and the Sea won the Pulitzer Prize in 1953, and a year later Hemingway was awarded the Nobel Prize in Literature. Alejo Carpentier, unlike other writers we’ll mention here, aligned himself with the aims of the Cuban Revolution and became one of the most frequently read writers in Castro’s Cuba. He is said to have influenced many writers of the Latin American “boom,” such as Gabriel Garcia Marquéz and Julio Cortázar. Many of Carpentier’s most significant works were historical novels. His first notable novel, The Kingdom of this World, was set at the turn of the 19th century. We’re recommending a later work of the novelist: Explosion in a Cathedral. While the novel is set in Cuba at the time of the French Revolution (in the late 18th century), the text clearly is a reference to the recent Cuban Revolution of 1959, and it comments upon the cyclical nature of revolution in the Caribbean and throughout the world. Reinaldo Arenas’s autobiography Before Night Falls recounts his experiences of stark discrimination in Cuba under Castro’s regime in the late 1960s and 1970s as a result of his LGBT identity. Although he participated in and celebrated the revolution in 1959, he soon became a target of the regime. After spending a number of years writing for and editing the literary magazine “La Gaceta de Cuba,” he was arrested in 1974 and spent two years in a Cuban prison for alleged “public lewdness” and “corruption of minors”—charges invented in connection to Arenas’s homosexuality and sexual encounters only with consenting adults. He eventually escaped to the United States on the Mariel Boatlift, yet he never moved beyond the brutality he experienced in prison. In Before Night Falls, he writes, “I must confess . . . that I never recovered from my experiences in Cuban jails; I think no former prisoner can.” Arenas was diagnosed with AIDS in 1987 and committed suicide in New York City in 1990. Many writers, whether in Cuba or writing in exile, have helped to shape the landscape of literature in the Americas. We invite you to read the books we’ve recommended and to reflect upon the ways in which political circumstances continue to shape literary output.